When you have sold your customer a jacket, you need to keep it looking crisp for the journey home. 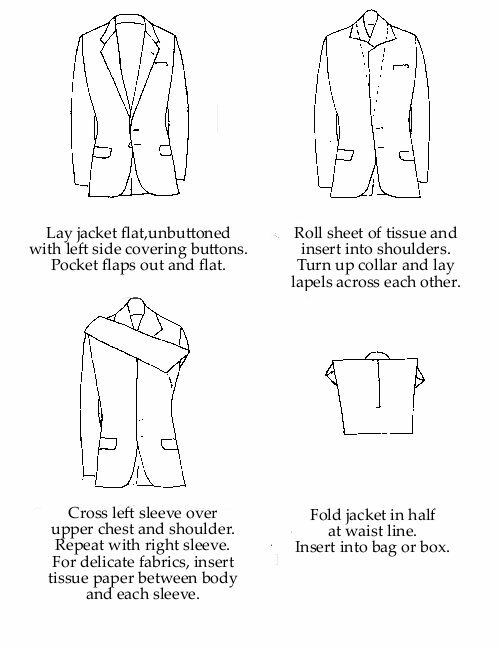 If your business does not use suit bags, use the following method with bags or boxes. Give your customer a copy of this so they know how to pack when they travel.